8 comment(s) on this page. Add your own comment below. I agree with you 100% on Kent & Mrs. Hovind. Kent dared to expose the Government Bureaucrats and Government Schools for what they really are, an ineffective sorry excuse for existing. Despite the 1st amendment, the Government will not stand by idly and allow anyone with the exposure that Kent had to castigate it if at all possible. God Bless and protect the Hovinds. The government people who have systemically removed any semblance of God & Christianity from public view and will continue to try to remove the God of the Holy Bible (King James Bible) from its halls, monuments, supreme court, etc., They certainly could not tolerate a Christian showing them up for what they are. Dr. Hovind had debated at least 99 times professors on college campuses showing the facts of creation to be more believable than the theory of evolution, both of which people believe in by faith. One is a belief in the Creator God of the Bible and the other is a belief in no god that would interfere with their sexual mores. It certainly is a travesty of justice that the Hovinds were found guilty of anything other than being true Bible believing Christians. May God intervene in this case to such a degree that the world will see it for what it is; a government that is being controlled by an anti-Christian crowd of infidels. God says that his are a peculiar people. Those strong in Christ are often reviled. I pray for Kent and his wife that they may have some peace. But let’s rejoice! It’s not like they’re dead! This is a bitter reality in which the gauntlet that the Hovinds’ have been through is simply a witch hunt. I’m not stating anything new. We can all agree that this is a terrible situation. At some point I would love to be one of the first persons to shake Kent’s hand when his time is finished. There is definitely something wrong in the US (but not only in the US). Its looks like the world is upside down. Do something about it. Together you’re strong, as an individual you are too weak. If respectable states like the US go on like that, you’re no better than a banana republic. I mean the Bush administration was nothing but the Osama, sorry I mean Obama administration is less then nothing. Unbelieveble. If you didn’t notice there was a curse on this world, you would see it after reading this article, right? 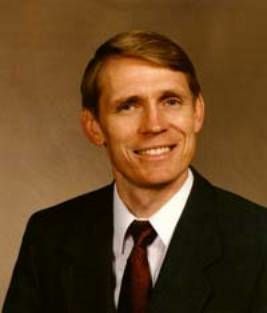 God bless you and your ministry Mr. Hovind! And you too, Don Boys, (i just was watching DVD Questions & Answers of Dr. Kent Hovind (part C). He talked about your book, you and your website. That’s how I came to be here. You might want to add to your list of outrageous double standards on this subject, the case of Sun Myung Moon, who spent 9 of 18 months in prison for tax evasion, and went on to be crowned king of peace by members of our own congress and senate, IN a senate building, in 2004. I bet no crown or robe await Brother Hovind! Well, except the ones in Heaven. Praise the Lord Kent is being used even in prison and has had many opportunities to lead other inmates to the Lord, so he continues to do the Lord’s work.